One of the most common questions I get from prospective clients in my career as a Website Designer is, why WordPress? There are so many options out there that seem to make the creation of your business or personal website seem so easy and streamlined. I wanted to share the pro’s and con’s and approximate costs of some of the most popular Website Builders, WordPress, Wix, Weebly, and SquareSpace. There is a lot of information in this article, so if you are thinking of using one of these, you can click the button below to go straight to that option. It’s free for up to 3GB of space. After that you will have to switch to a paid plan for more space. Premium and Business plans can use custom CSS, which means more customizable websites within the themes they allow. You can easily transfer all the data from wordpress.com to a wordpress.org site if you decide to change. You can back up your wordpress.com website off site, but it will only export your posts, pages, comments, categories and tags. Media files must be imported to a wordpress.org site. You do not need to know anything about coding to make a great website. If you choose to have the free plan on wordpress.com they will place ads on your website. You will not make any money from those ads. If you purchase the paid plan (starting at $36 a year) then you can remove those ads. With the free plan, You will never be allowed to sell ads on your website unless you apply for their advertising program, WordAds and you would have to share any revenue from that with them. The higher paid plans allows you to use WordAds immediately. But again, if you want to make the full amount from your ads, this is not an option. You cannot upload plugins on the free plan. They do come pre-installed with JetPack (which isn’t entirely good, though thats a blog post for another day). If you want to install plugins from a selection of compatible plugins you are looking at paying at least $299/year. To let you install plugins you would need to pay at least $5000 a month. You cannot utilize custom themes, you must use what they offer. On the free plan there are limited free themes. The higher plans can select from their premium themes. Customizations for the themes on the free plan are limited. On the free plan you cannot add Google Analytics or install any other tracking platform, you are restricted to their stats. On the free plan Your site will display a powered by WordPress.com link. CONCLUSION: For the beginner blogger or business start up this may be a good option to get your feet wet with adding content and pages to a pre-set theme. But as your business grows or as you want a more customizable website you will probably need to look into wordpress.org. WordPress.org is an open source Content Management Software (CMS). What this means is that anyone can use or modify WordPress software for free. A CMS is a tool that makes it easy to manage parts of your website, such as content, images, and pages without needing to know anything about programming. You do not need to be a developer to create an awesome website with WordPress.org. With WordPress.org you will need to have your own hosting (I recommend Siteground.com) and learn to update and maintain the site yourself (or hire a developer like myself). WordPress.org is free to download and install on any hosting option that you choose. 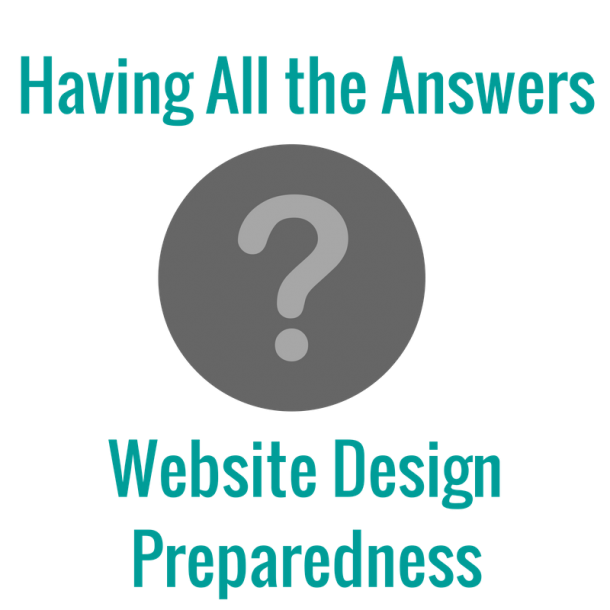 It is super easy to use with tutorials and walk-throughs while you are setting up your website. Your website and all it’s data is YOURS. No one can turn off or delete your website (as long as you are not doing something illegal) because there are no terms of service to comply with. You have full and utter control. You can install and utilize any plugins that you wish to make the functionality, look, and security of your site complete. There are millions of plugins and each one is rated in wordpress.org and has reviews and support. You can use customize your website design any way you want. Add any free or premium theme that you would like to. You can also create your own themes (this is not really easy for beginners, but as you learn and grow, it is a possibility). You can run ads on your site as much as you want and you get to keep all the money that those generate. You can use Google Analytics, or any other tracking software to see how your website is doing. You can have an ECommerce site and sell digital or physical products, accept credit card payments, and deliver / ship the goods directly from your website with ease. You can backup and store every aspect of your website off site as often as you would like. The wordpress community is massive and there are millions of tutorials, support teams, and facebook groups where you can find any help that you need. Allows you to track leads when running Facebook ads. Allows you to install market rich features at a low cost. You will need to get web hosting (again, I recommend Siteground.com, their service has been impeccable for me). Hosting is where your website files are stored on the internet. The cost can be as low as $4 a month for a basic shared hosting plan, and you can increase your plan as your business grows and you are making enough to cover the additional costs. The learning curve for building your website with WordPress.org can be a bit steeper than with the other builders depending on the theme that you choose. You are responsible for the maintenance of your site. The plugins, themes, and WordPress files need to be updated regularly for security and functionality. You are responsible for issues with your website, for instance, if a plugin update causes an error, you or your developer would need to know what to do to fix your website. You are responsible for the backups. No one else has them, so it is important that you always use a backup plugin (I recommend Updraft Plus) and store your files not only on your website, but also off site in places like dropbox or google Drive. Sometime the themes and plugins can be buggy and you need to research how to fix them. COST: The cost of a website built with WordPress.org really is up to you. Depending on what kind of site you are building, it can be as little as just the hosting costs. The cost of the premium themes and plugins is where the extra cost can add up. The amount you pay is truly and completely up to you. CONCLUSION: I always recommend building your website with WordPress.org. This is your business, your brand, and you want to be able to have something where you are free to do anything you want and customize it as much as you need. Your business shouldn’t be a pre-formatted template, and neither should your website. A website built with wordpress.org belongs to you and even though there is a little learning curve it is completely worth it in the end. Wix is an all-inclusive website building platform that provides everything you need to build your website. You don’t need to search and find anything, it is all within the platform. They offer different plans depending on your needs and cater to non-technical users. Wix is catered to non-technical users. Wix provides hosting for all the websites made through them. Wix closely controls, monitors, and tests all their features and functions to ensure they work properly. They use a user-friendly, drag and drop website builder and you will never have to use code. Wix has a dedicated support team and has organized tutorials. You can also contact them by phone or email if you need help. They manage all updates and maintenance of your website. Once you choose a website template, you cannot change it. So choose carefully. Take your time and chose one that will grow with you, because if you want to change it, you have to start from scratch and re-enter all your content. If you decide that you no longer wish to have your website on Wix, you cannot transfer the information to any other platform. Wix doesn’t allow you to track leads when running facebook ads. The ongoing annual cost for Wix could range from free to $48 per year (2-year Connect Domain plan), to $360 per year for the month-to-month VIP plan. It may be easy to build a website with Wix, but the fact that the website doesn’t really belong to you and is at their discretion makes it a no go for me. Weebly is another all-inclusive website building platform. It takes away the need for any manual coding and makes building your website easy using their drag and drop interface. Weebly provides the hosting for all the websites built with their platform. Weebly provides security and maintains the website updates. Weebly has a fairly good knowledge base where you can find the help that you need. Weebly does integrate with some email marketing platforms. You can edit some html and css codes in your Weebly website, so you do have some creative control. If you sign up for the premium plan, then you get a free custom domain name for the first year. They currently have about 100 themes which you can customize with their drag and drop tools. Weebly is a completely hosted service. This means that your website resides on their servers, and you have to abide by their terms of service. Which means that you do not own your website, they do. If you decide to switch platforms, the migration process is extremely difficult. You must work with the features that are available in Weebly, you cannot customize outside of what they offer. You cannot store a full back up of your website off site, you can export your page content but blog content would need to be manually copied. Weebly has plans ranging from Free to $45 per month (that pricing is based on 2 year plans. If you choose their 6 months or 1 year plan, the price per month goes up a little bit). Weebly is easy to use and may be suitable for small websites. My opinion of it is similar to that of Wix, the fact that you cannot grow, migrate or truly own your website is a big no for me. SquareSpace has grown in popularity. Their marketing is mesmerizing and is drawing a lot of attention. Their templates are known to be eye-catching and fairly easy to use. SquareSpace has about 60 templates that uses drag-and-drop controls to make building your website easy. They have an email marketing campaign within the platform or integrates with some of the email marketing programs. You cannot add themes or plugins that SquareSpace doesn’t offer. ECommerce is limited in that you can only use Stripe for payment processing. Migrating to another platform is impossible. You can only export part of your content in an XML file and it will not include your product pages, album pages, text, audio or videos. They do have a 14 day free trial, but all other plans start at $12 per month if billed annually, but make sure to read what is allowed on each plan! SquareSpace is flashier than the other website builder platforms like Wix and Weebly, but is pretty similar besides that. Out of the website builder platforms I would use this one though as it enables more autonomy (i.e. Google analytics, Google Adsense, etc.) than the others. Overall I would recommend if you see your business growing in the future and you want to be able to change your website as you need to, WordPress.org is the best way to go. Website building platforms like Wix, Weebly, and SquareSpace make everything a little easier, but they are limited and non-transferable. Your website will not belong to you entirely. Building your site with WordPress.org It is completely doable by yourself, or there are numerous designers and developers out there (like me!) that are ready to help you in any way they can. You will never be alone in building your website no matter what path you choose. If you have any questions, please feel free to comment below and I will do my best to help you. Mention this article when you contact me for a WordPress Website Design Project and receive 10% off the project price!